The word “outsourcing” has evolved to be a negative term, but it doesn’t have to be. Customer service outsourcing can benefit your business in a multitude of ways, if you choose the right company to work with. Customer service outsourcing is evolving. At Reps Direct we integrate completely with your organization to streamline outsourcing and offer the closest thing to an in-house customer service department, without actually having one. We also go through a full hiring process for every new client unlike most outsourced customer service services. This allows us to hand pick agents the best agents for your campaign. From there, we offer your organization full control of the team. The outsourced team follows your rules, regulations, policies, and training programs. If you already have a system in place for customer service — ticketing, live chat, phone, etc — the outsourced customer service team follows the protocol already in place. You can pivot quickly to address needs of the customer and be assured that all agents understand your company at its core. This full control and transparency in the customer service means that quality remains at high levels while costs are cut from operating in a less expensive geographical location. Every client of our has direct access to the outsourced customer service team to make changes at a pace so quick, it seems as if you just walked down the hall to an in-house customer service wing. Clients make the decision on what changes need to happen to their own customer service team, not the outsourcing firm or any other entity. The days of India and the Philippines being the only choice for outsourcing is over. Latin America and the Caribbean have made great strides in the outsourcing industry. This has helped with a couple huge problems that US companies face when outsourcing, language and time zones. With the influx of Latin people into the US it has become more of a common accent to hear. Many of these countries have American TV shows which helps the people in those countries learn the slang and phrases that Americans use. These are big factors that help when outsourcing to a Latin American country. Your customers will not think they are on the line with someone from a foreign country. When they hear an unusual accent they are more prone to think they will be getting a lower level of service. This no longer has to be the case. Check out some of our voice samples. Imagine this scenario. A customer service agent receives a call from a customer with an unusual or complex problem. In a typical outsourcing situation, the customer service agent follows a script and if that call goes off-script they would have to escalate that problem to a higher authority. That higher authority may or may not have ever even spoken with the client and can exacerbate the problem with their lack of knowledge. It’s hard to make quick decisions if you don’t have a strong understanding of the client’s business. With our service, that unusual problem can be directly communicated to the client to find a quick solution. 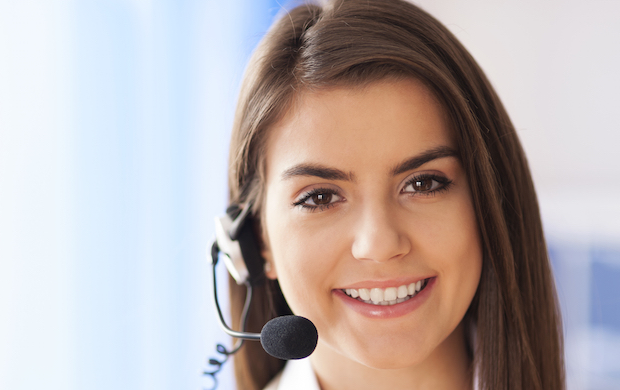 The customer service team has communicated directly with the client to more deeply understand the business. Open lines of communication and full integrated helps the customer service team to deliver a more customized, quicker service to callers. Additionally, if there are customer complaints about customer service, solutions can be developed between the company and the team. Those improvements can then be implemented team-wide for an overall better customer experience. Our policy of direct access, full control, open communication, transparency and top tier English means you can have all the cost-cutting benefits of outsourcing without losing any of the quality. Don’t believe the myths. Outsourcing doesn’t have to mean sacrificing the quality of customer service. It can actually improve it if handled properly. If you are interested in speaking more about how we can help improve your current customer support solution please Contact Us now.